Maruti Suzuki has launched a new Swift variant with a 1.2-litre petrol engine which complies to the stricter Bharat Stage IV standard. BS-IV, which is India’s equivalent to Euro 4, will come into force this April. The new K-series engine, with a power output of 84 bhp and 113 Nm replaces the old 1.3-litre engine with 87 bhp and 111 Nm. 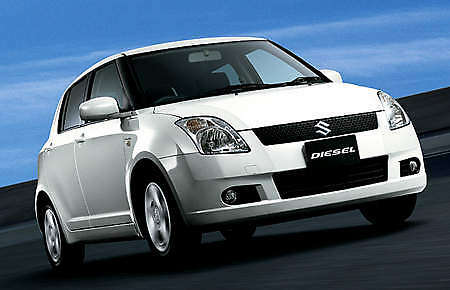 Maruti Suzuki claims better refinement and fuel consumption of 17.9 km/l, 2 km/l better than the old 1.3. As a comparison, the M15A 1.5-litre Swift sold in Malaysia has 101 bhp and 133 Nm. But many Swift buyers are turning to diesel. Maruti introduced the Swift with Fiat’s 1.3-litre Multijet diesel engine (common rail turbo with 75 bhp and 190 Nm) back in 2007 and it has been selling well ever since. Despite increased competition, Maruti sold 10,900 Swifts in December 2009, the model’s highest monthly sales since its debut back in May 2005.